The issue of global warming is frequently addressed these days. Most divers know the term "coral bleaching," which is the result of coral tissue lacking symbiotic algae (called zooxanthellae) due to abnormally high sea temperatures. The coral relies on algae photosynthesis for nutrients, and is thus weakened in this stage due to an insufficient supply. Exposure to strong sunlight intensifies the damage, and makes coral death more likely. The combined effects of strong sunlight and a lack of zooxanthellae produce damaging oxygen radicals, which is toxic to coral tissue. Episodes of coral bleaching occurred many times throughout the Indo-Pacific and Atlantic in the years 1991, 1995, 1998 and 2003. 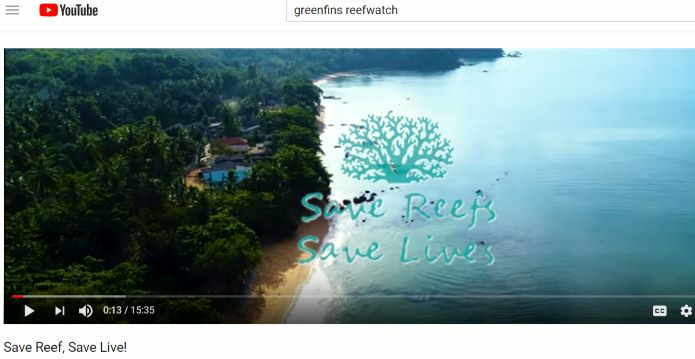 Thailand's reefs could not escape the harm caused during these periods. Typically, the maximum sea surface temperature (SST) in Thai waters is about 29 degrees Celsius. When SST reaches 2 degrees over the maximum (i.e. approximately 31°C) for up to three to four weeks, coral bleaching will result. 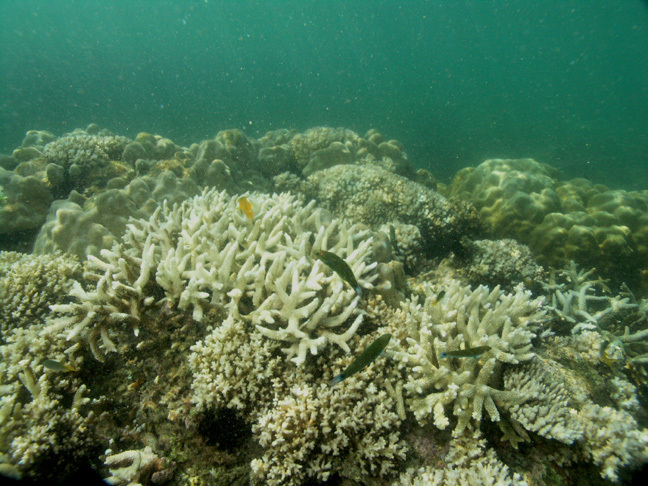 In Thailand's Andaman Sea, coral bleaching occurred widely in 1991, 1995, 1998, 2003 and 2005. The most serious years were 1991 and 1995. Fortunately, in 1998, coral bleaching was very patchy in the Andaman Sea. This is because a cool upwelling took place from the end of 1997 to early in 1998, which prevented the temperature from maintaining a prolonged high. 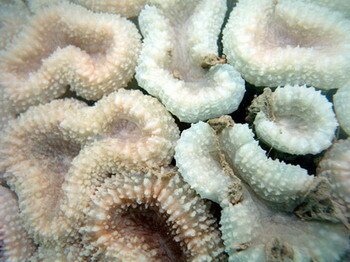 In 2003 and 2005, most of the bleached corals were able to recover when temperatures decreased due to monsoon waves. 1. support efforts to improve coral reef resilience to climate change by maintaining or enhancing good water quality and healthy reefs, and by working with local stakeholders to protect biological diversity and reduce stress. 2. support research to improve the understanding of factors that promote resilience in coral reefs, and their application in management. 3. support the development of sustainable livelihoods that may reduce vulnerability to climate change among coastal populations and strengthen ecosystem resilience. 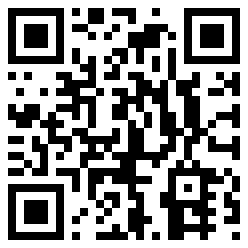 4. enhance public awareness of the impacts of climate change on coral reefs.